When volunteers rescued a group of 10-day-old kittens from an animal shelter in South Carolina, they didn't know that one of them would be extra special. One of the tiny, fluffy kittens was in fact paralyzed from the hips down. 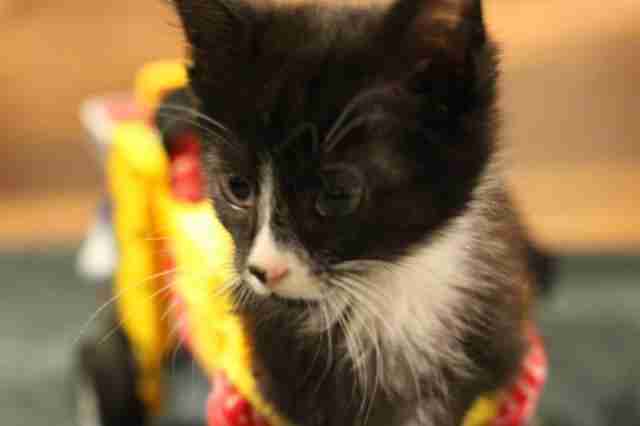 Volunteers from Friends of the HCACC soon named the tuxedo cat Tiny Tim and connected with a "hackers" collective of experimental tech creators called SubProto. 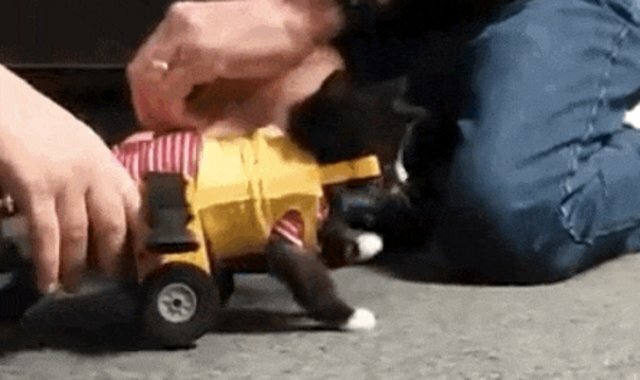 They got to work creating a custom wheelchair small enough for Tiny Tim, who was no more than a handful at the time. They're still tweaking the design, but Tiny Tim already looks healthier and happier. "When you see a little animal like him who has a special need, sometimes people have a misconception about that," Cathy Salmons, a volunteer for Friends of HCACC told Mandy Noell at Cleveland's Channel 19. "This is a happy little kitten. He deserves every chance to live." 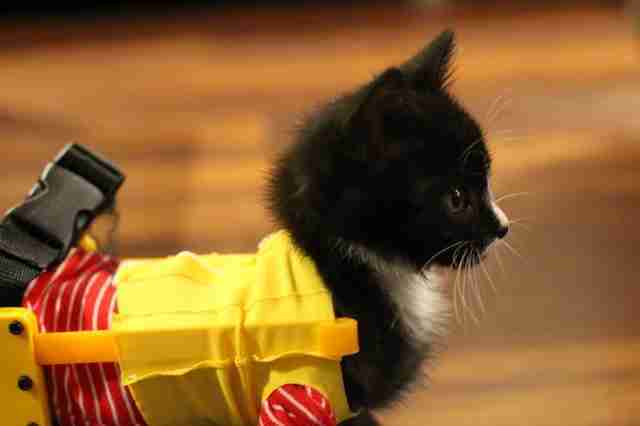 Below is a video of Tiny Tim being fitted, and you can watch more of his story here.